The Digital Devotional requires an ePub Reader, example: Apple Books on iOS & Nook on Android. 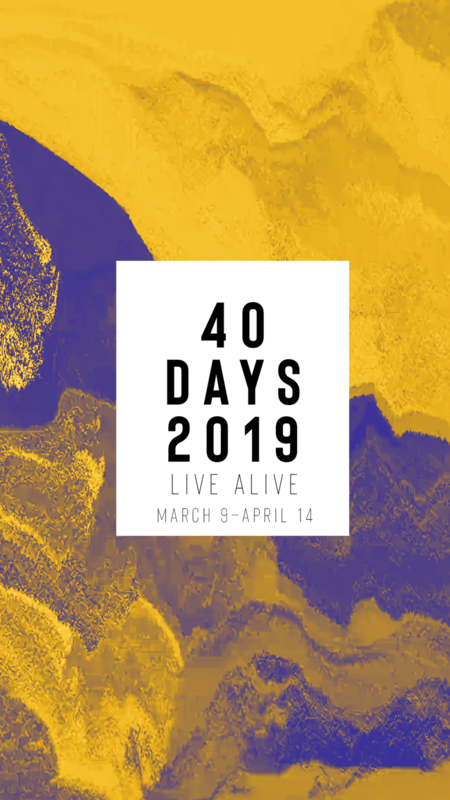 Read the daily readings in the 40 Days devotional. Set aside about 15 minutes at the same time each day to read the text, think about the principles, and allow God to change you as you gain a deeper understanding of what it means to live alive in Christ. Every relationship takes time. Your relationship with Christ is no exception. Guard this time. Join with others to discuss the week’s teachings. True transformation never happens alone, but by challenging each other to seek hard after God. 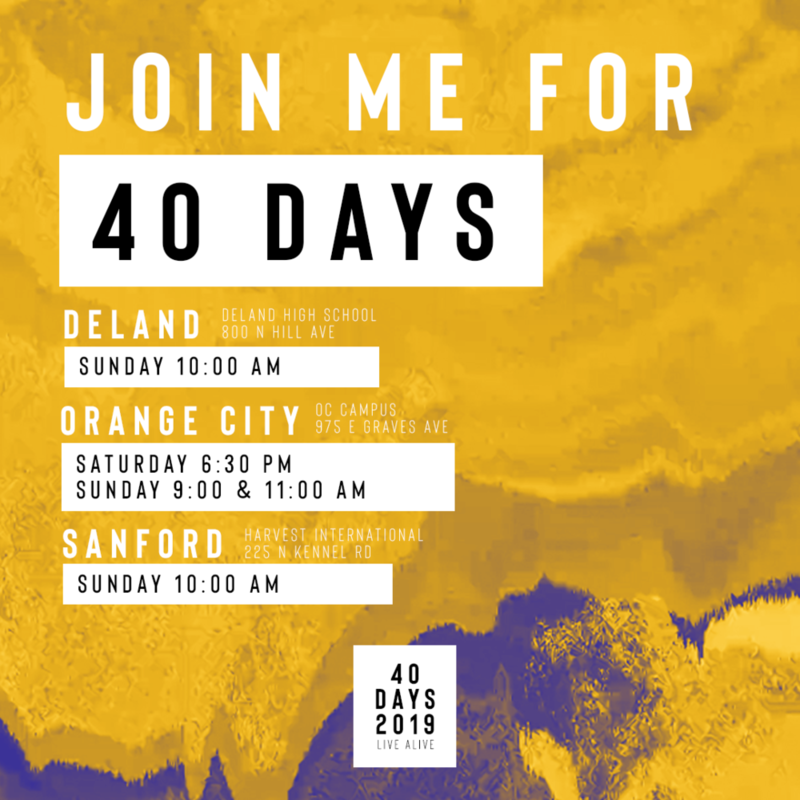 If you are not currently in a small group, you can join one of our 40 Days Short-Term Groups. Visit theJourney.cc/ groups to find out more. Memorize a simple Bible verse each week from the 40 Days devotional that will help you focus on accepting Jesus’ invitation. Each week you will be given a weekly Bible verse to memorize that fits the theme of the week. Write this verse down and hang it someplace where you will constantly see it. This will help you memorize and meditate on the verse throughout the week. Memorizing scripture may seem like a challenge, but I encourage you to take this opportunity to grow deeper in your walk with God through this key spiritual habit. 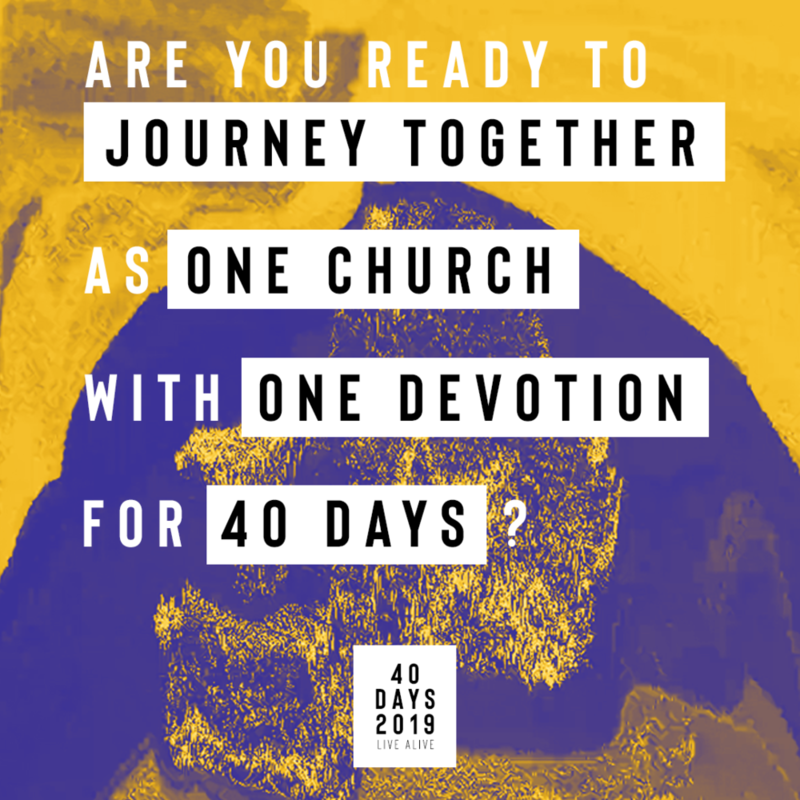 Sacrifice just one thing over the next 40 days as a statement to yourself and to God of your commitment to follow Him. Sacrifice helps you to clearly focus on God and allows Him the opportunity to really work in your life. This means that for 40 days, you will give up something from your everyday life that occupies your time in order to free you to spend that time with God.